Every bite you take affects your health – by either feeding health or feeding disease. But unfortunately it’s not that simple. Every single nutrient has a specific and necessary purpose in our bodies. Some nutrients, like magnesium, have over 300 specific and necessary functions in the body. What happens when we don’t have enough magnesium (or any other nutrient for that matter)? It starts off small, maybe a little muscle tightness or a little fatigue, but if not addressed, disease and detrimental diagnoses can develop. And chances are, you aren’t missing just one nutrient. Most of us have 3 or more deficiencies that can contribute to brain fog, fatigue, weight gain, and mood problems. If you eat a less than optimal diet (and most of us do! 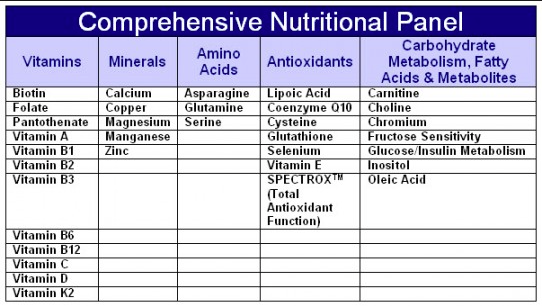 ), it is extremely likely that your body is missing key nutrients. But even if you ARE eating loads of fresh, local plants and super clean proteins, a nutrient deficiency is still a good possibility. Why? The quality of even our healthiest foods has diminished with the advent of farming technologies and cross-continent transport. A piece of broccoli today has 70% less calcium than it did 50 years ago (1). In a culture so focused on food you’d think we could nourish ourselves better. Poor gut health, whether from hypochlorydria, pancreatic insufficiency, dysbiosis, leaky gut, or any of the other host of possible gut problems prevents absorption of nutrients even if you are eating the best foods. For example, not having enough stomach acid or having an H.Pylori infection prevents absorption of minerals like iron and can be the cause of your deficiency and symptoms. Did you know that 80% of H. Pylori cases are without symptoms?! A higher demand of the body’s nutrients can also cause a deficiency. What this means is – when you are fighting off an infection or pushing your stress pathways, this requires higher levels of nutrients to restore your body to optimal health. Not supporting your body in these challenging scenarios can lead to chronic deficiencies, causing even more problems. A nutrient IV when getting sick is SO effective because your body needs those additional vitamins and minerals for your immune system to perform at its best. Let’s not forget medications. Medication-caused nutrient deficiencies can be insidious (like acid blockers, antibiotics and pain killers like advil or aspirin). What’s the only true way to know what your body is lacking? At Shine, we use advanced technology that evaluates the entire spectrum of nutrients within your cells, not just floating through your blood — we test what’s actually getting absorbed!